Humphrey is recognized as a leading producer of pneumatic products, serving organizations worldwide. Our expertise in a wide range of industries is based on technologies proven in our standard products, enabling us to create truly customized solutions for unique commercial and industrial applications. 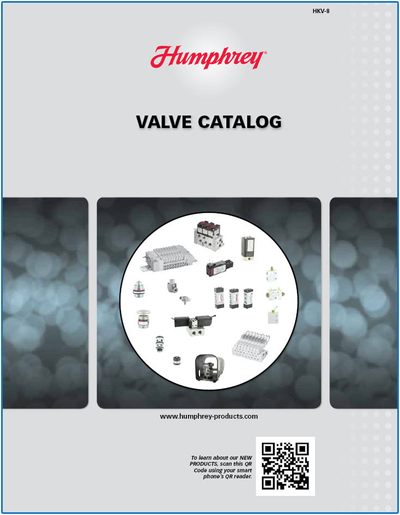 Humphrey has a wide offering of pneumatic valves including solenoid valves (direct and indirect), pilot operated valves, manual and mechanical valves, vacuum control products, and quick exhausts. The Humphrey ProControl Proportional Valves provide outstanding performance, versatility and value. The inert construction makes this an ideal choice for many types of mulit-media use. The patented frictionless flat-spring armature design results in long, trouble-free and excellent flow characteristics. CLICK HERE to learn more about their PC3, PC10 & PC30 valves. 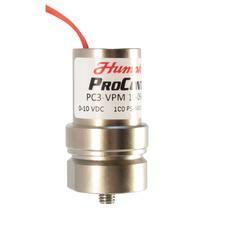 Humphrey adds the ProControl pressure regulator series of products. 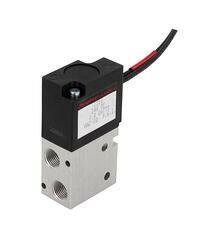 These electronic pressure regulators provide outstanding performance, versatility and value. Designed for low volume flow rates (PCRL) or high volume flow rates (PCRH), ProControl regulators precisely sustain outlet pressure, even during dynamic changes in downstream flow rates. 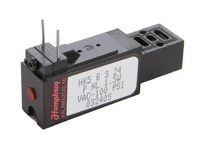 Humphrey’s popular valve series, the 310 and 410 Solenoid Valves, provide outstanding performance and reliability in a simple, versatile design. The pressure-balanced poppet, direct-acting operating principle provides multi-purpose functionality in a compact body. The L310 Latching Solenoid Valve Series is developed from the proven advanced Humphrey technology of the balanced-poppet direct-acting solenoid valve design. The latching technology is optimized for applications that demand low power consumption and low heat generation. Energy Savings: Standard single solenoid valves require electrical power while holding the valve in the energized position. A 50 millisecond pulse of the solenoid fully shifts the L310 from one position to the other. Power is removed and the latching function holds the solenoid and valve positioned, thereby offering significant energy savings. The valve remains in that position until another 50 millisecond electrical pulse, of opposite polarity, is applied. This is particularly beneficial in applications where a valve remains open for long periods of time, such as remote applications, where the valve is battery powered, or where continuous power supply is limited. The HK5 Series Single Electric (Solenoid) Valves have 10-32 pipe ports and .0020 (standard) inch² or .0014 (low power) inch² orifice. Excellent flow characteristics: Cv .05 provides 3 scfm @ 100 psig. CLICK HERE to learn more about Balanced Valves. When you bring in a custom request, the Humphrey Engineered Solutions team you'll get a total systems approach to your product design and development. Working on a peer-to-peer basis, the Engineered Solutions team will seek to identify every aspect of your product's design, manufacturing, installation and field service that could impact costs. Then the Engineered Solutions team will produce one or more designs, together with an analysis of the cost benefits and implications for future life cycle benefits. As always, it's your decision about which design best meets your objectives. But if you are like hundreds of other companies, you'll discover that Humphrey's pneumatic design expertise can free you up to concentrate on your core competencies. CLICK HERE to learn more about Humphrey's Engineered Solutions. Find all of Humphrey's videos on their YouTube Channel.